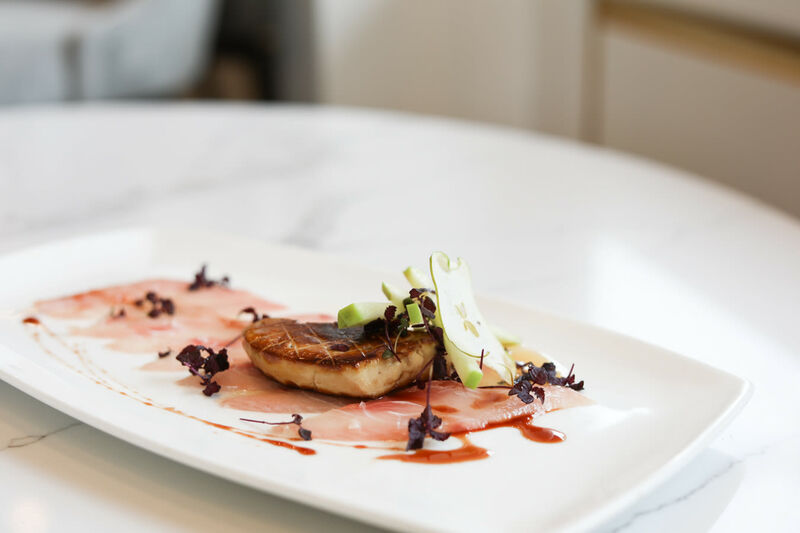 The wait is over for River Oaks District's chic gelateria. Five different flavors makes for a big flower. 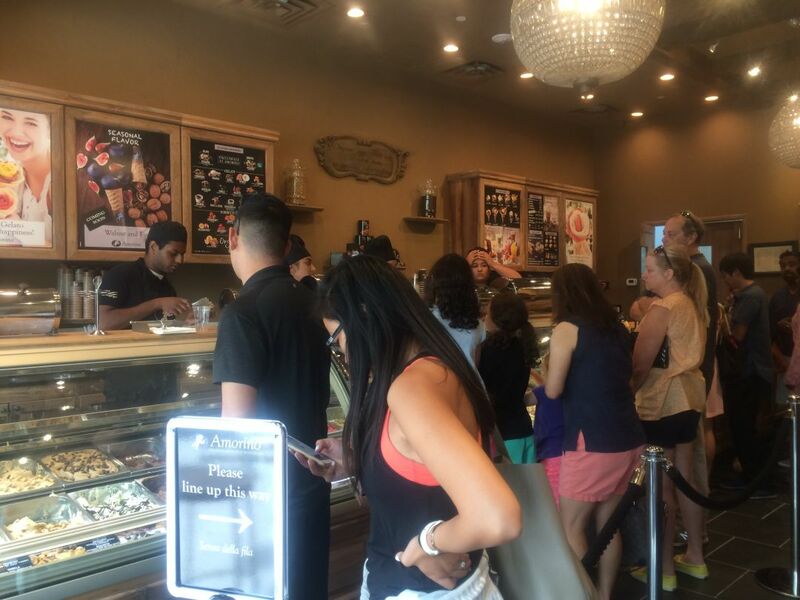 Back in June we broke the news that the Italian-owned Amorino Gelato chain would open its first Houston store in August. The location, one of close to 150 that dot the globe, debuted last Thursday. 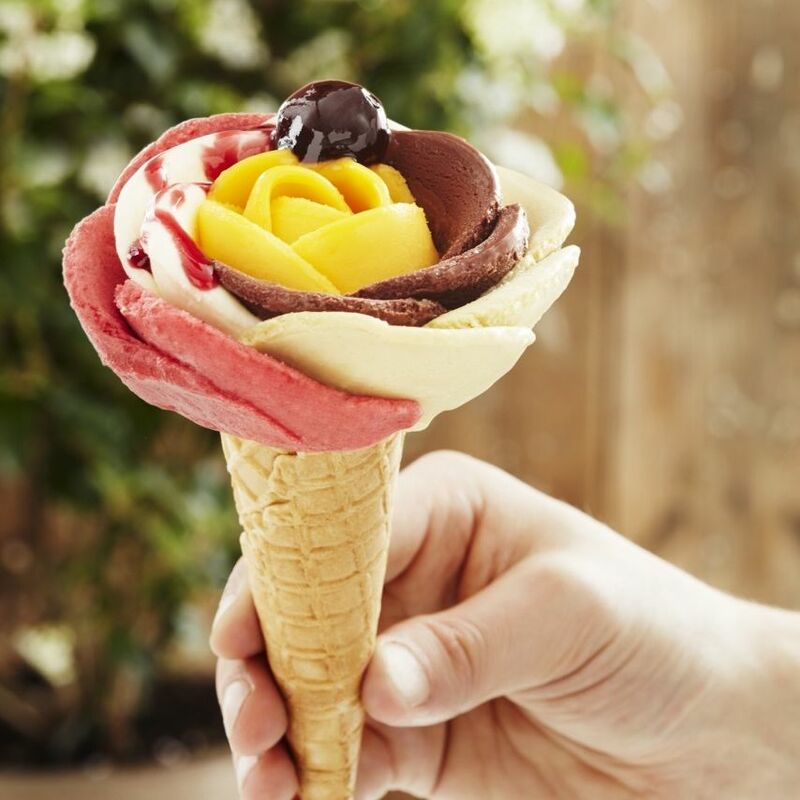 On Saturday, families gathered to try the rose-shaped cones of gelato and sorbetti, but the lines moved swiftly. Franchisees Nathalie and Sebastien Debbouzzi and their team cheerfully explained each flavor to customers. The case on the left holds gelato, all made using organic milk and eggs. There are two chocolate varieties, dark Cioccolato Amorino and visually lighter but more intense single-origin Ecuadorian. Of the two, we preferred the latter, but didn't get to try the glistening chocolate sorbet. The pistachio, made from nuts harvested in Bronte, Sicily, at the base of Mount Etna, is an especially full-bodied iteration thereof. A milky base loaded with whole sweet-and-sour Amarena cherries is also worth a taste, as is the sweet milk of the fior di latte. 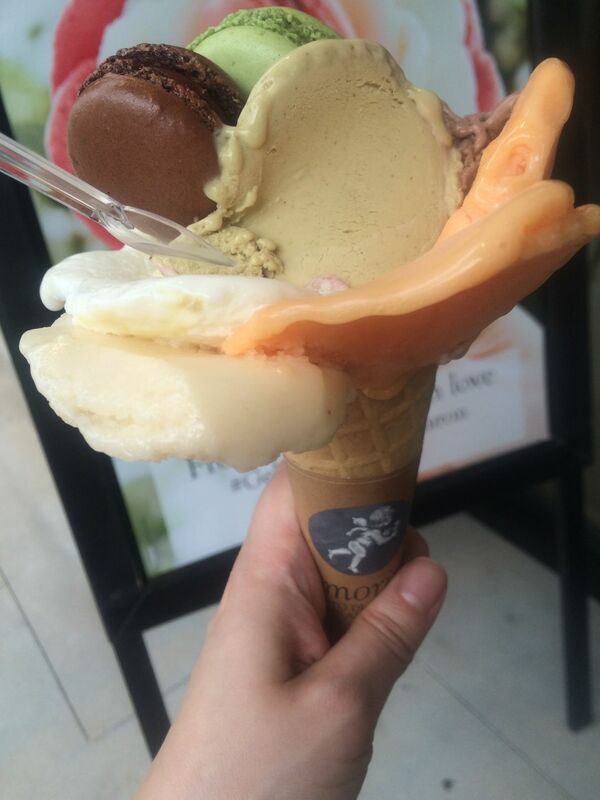 Sorbetti are mostly vegan and, other than that chocolate and Middle Eastern Mawardi pistachio, mostly fruit-focused. Lime-and-basil is intensely refreshing, but too strong to pair with other flavors. Sicilian citrus is also bracingly tangy, but went just fine with the more docile Brazilian banana. The seasonal special, walnut-and-fig, will debut soon. In order to try five flavors simultaneously, we opted for a medium cone (sizes also include small and a large identified as "classic"). Cups go beyond the classic into large and "maxi" sizes, but why would anyone order a cup when they aren't divided into petals as cones are? The petals are the greatest pleasure of Amorino, ephemeral doses of each flavor—just a taste before moving onto the next one. 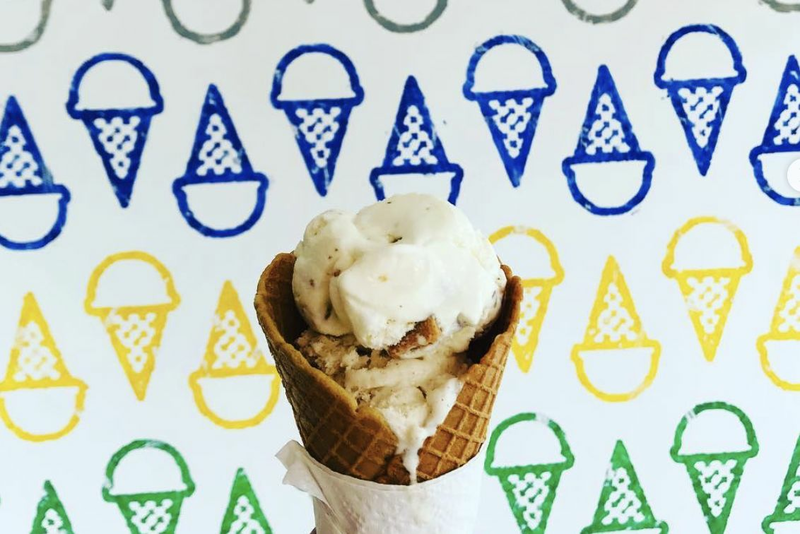 Their small size is an issue in Houston heat—they melt quickly enough that we (and the sidewalk in front of the store) learned in seconds that it's not advisable to eat a cone outside until the weather starts cooling down. As a chill takes hold outside, there will likely also be greater demand for Amorino's other offerings. Coffee drinks, tea and hot chocolate can all be ordered topped with homemade whipped cream. The frozen treats can also top warm waffles or crêpes. And there's no reason to wait for a macaron. Rather than buttercream or ganache, Amorino's version are filled with gelato. They're best served crowning a rose.